Our staff is committed to providing a safe, reliable, efficient service to our students, staff, and our community. If you need additional information or assistance, please contact our office at (330)877-7551 or FAX (330)877-4749. The Transportation Office has 2 phone lines, if you call and it is busy you can do 1 of 2 things you can leave a voice mail or email us at livingstonlauri@lakelocal.org and we will get back to you as soon as possible. Lake Local school system encourages all parents and guardians to walk with the children to and from their assigned bus stops. 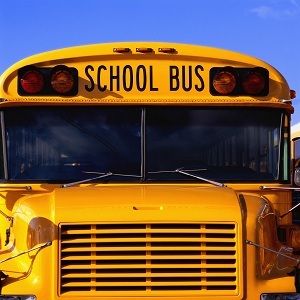 Bus routes are approved by the Lake Local School Board at the start of every school year. Please have your children at the school bus stop 5 to 10 minutes prior to the approximate bus arrival time and dressed appropriately for inclement weather conditions. Children must be able to keep all of their carry on items (including band instruments) safely on their lap during bus transportation. Parents if you are filling out a request for an alternate stop, please make sure you sign and return to the transportation office, and send a copy to the building principal of the school your student is attending. Just a reminder that the transportation office needs 2 days to process your request. If you would like to fax, please send to 330-877-4749, or email to Mrs. Livingston. If you have any problem or concern related to school transportation, we encourage you to write the driver a note or to phone (330) 877-7551. Please refrain from boarding a school bus to speak with a driver. When there is a two-hour delay in the school day, the school buses will pick-up students two (2) hours after their normal bus stop time. For example, if your child is normally picked up at 7:40 am, during a two hour delay, your child will be picked up at 9:40 am. On a two hour delay day, dismissal time will remain the same, and bus drop-off will be the normal time. Please contact your student's school and give the new address to the building secretary. Once you have completed the residency papers and they are returned, your building secretary will forward your new address to the transportation office. We cannot change an address prior to you contacting your student's school. Thank you.